It is Father's Day -- the yearly celebration of all things manly and fatherly, so I ask you, which car is the most likely to be a Dad car. I'd say anything that is a van. 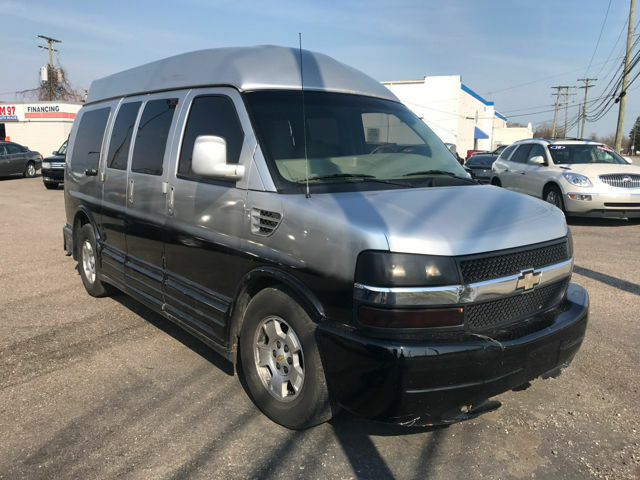 Like this 2003 Chevrolet 1500 Express Van offered for $4,995 here on eBay buy-it-now or make-offer located in Warren, MI. It really doesn't matter what kind of engine (it is a Vortec 5.3 liter fuel injected V8 good for 285 horsepower) is under the hood because this is the car that a dad would drive. 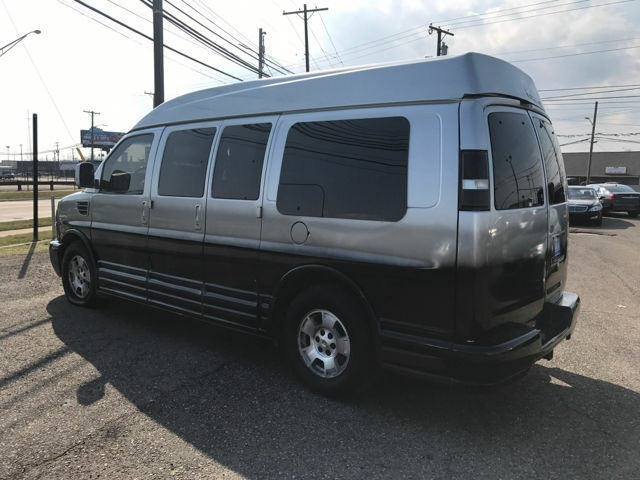 It isn't sporty, it isn't pretty, it repels females, it isn't any of the things that young (or old) men want in a car...but it does the things that are needed for hauling around a family and taking care of business. What do you think is a better car for Father's Day? This should be bundled with the Crack Mobile below Fathers Day Deserves better then this! This thing can't haul the only thing a Dad really wants to haul...Azz! GM/Ford had Dad's figured out a lot better in the 60's when they hid cars like the 1962 Pontiac Grand Prix, a '67 Ford or Chevy Wagon, with a big block and 4 speed, hidden in plain sight (albeit small numbers) on the dealer's lots. In honor of my father, he pined for sports cars (XKE) and muscle cars (GTO), but as the father of 7, he had to settle. His favorite dadmobile was our '71 Buick Estate Wagon with a 455. Having refereed countless backseat fights, that were routinely settled with a blind swat into the back seat, he was perhaps justified in calling school buses, which are the ultimate kid-haulers, Bratmobiles!